The domain name Tenica.com was registered in 2002, making it 17 years old today. Its registrant was presented with a UDRP case at the WIPO, as Tenica and Associates LLC of Chantilly, Virginia, asserted rights to the TENICA mark. The company operates from Tenica.biz, a domain registered in 2009. There are no recorded details about the alleged NameJet sale, although the domain appears to have expired and it changed hands around September 15, 2013. Despite the Respondent’s acquisition of the domain occurring after the registration of the mark by the Complainant, the three member panel at the WIPO sided with the Respondent, and ordered Tenica.com to remain with them. The panel refused to deliver a finding of Reverse Domain Name Hijacking. The Complainant is TENICA and Associates LLC of Chantilly, Virginia, United States of America (“United States”), internally represented. The Respondent is Privacydotlink Customer 2326444 of Grand Cayman, Cayman Islands, Overseas Territory of the United Kingdom / Kwangpyo Kim, MEDIABLUE INC of Gwangju, Republic of Korea, internally represented. The disputed domain name <tenica.com> is registered with Uniregistrar Corp (the “Registrar”). The Complaint was filed with the WIPO Arbitration and Mediation Center (the “Center”) on November 19, 2018. On November 20, 2018, the Center transmitted by email to the Registrar a request for registrar verification in connection with the disputed domain name. On November 21, 2018, the Registrar transmitted by email to the Center its verification response disclosing registrant and contact information for the disputed domain name which differed from the named Respondent and contact information in the Complaint. The Center sent an email communication to the Complainant on November 23, 2018, providing the registrant and contact information disclosed by the Registrar, and inviting the Complainant to submit an amendment to the Complaint. The Complainant filed an amended Complaint on November 27, 2018. In accordance with the Rules, paragraphs 2 and 4, the Center formally notified the Respondent of the Complaint, and the proceedings commenced on November 29, 2018. In accordance with the Rules, paragraph 5, the due date for Response was December 19, 2018. The Response was filed with the Center December 18, 2018. The Center appointed Steven A. Maier, Jonathan Agmon and The Hon Neil Brown Q.C. as panelists in this matter on January 14, 2019. The Panel finds that it was properly constituted. Each member of the Panel has submitted the Statement of Acceptance and Declaration of Impartiality and Independence, as required by the Center to ensure compliance with the Rules, paragraph 7. The Complainant submitted an unsolicited supplemental filing, taking issue with aspects of the Response, on January 4, 2019. Under Paragraph 10 of the Rules, it is for the Panel to determine the admissibility, relevance, materiality and weight of the evidence, and also to conduct the proceedings with due expedition. While the panel must ensure that each party has an opportunity fairly to put its case, section 4.6 of the WIPO Overview of WIPO Panel Views on Selected UDRP Questions, Third Edition (“WIPO Overview 3.0”) recognizes that “Unsolicited supplemental filings are generally discouraged, unless specifically requested by the panel.” Having these considerations in mind, the Panel does not find there to be any exceptional circumstances or other compelling reason why the Complainant’s supplemental filing should be admitted in this case and declines to admit the supplemental filing. The Complainant is the owner of United States trademark number 3766360 for a design consisting of half a star with the stylized word TENICA, registered on March 30, 2010, for “consulting in the field of information technology” in Class 42 and “consulting in the field of national defense and homeland security” in Class 45. The disputed domain name was first registered on August 7, 2002. It appears from available WhoIs records to have been registered until about August 7, 2013, by a company named “Tenica Tenda Informatica”, located in Spain. It was acquired by the Respondent at some time between that date and January 2014. The disputed domain name, under the Respondent’s control, has resolved to a website at “www.tenica.com” comprising a parking page containing various links. On (or on dates including) October 29, 2018, the page included a link to “Tunica Jobs”. The page has also included a statement that the disputed domain name is listed for sale and inviting enquiries. The Complainant submits that it is well known in the United States and internationally as a company providing staffing services to the United States government and that it has employees in multiple continents. It states that it has had an online presence since 2010 to advertise job openings, provide corporate information, conduct recruitment and handle resumes and that it was featured in the INC 500 fastest growing companies from 2015-2017. It states that it owns the domain names <tenica.biz>, <tenica.net>, <tenica.org> and others including the term “tenica” which were registered in 2009. The Complainant submits that the Respondent has no rights or legitimate interests in respect of the disputed domain name. It states that the Respondent is not associated with the Complainant and that the Complainant has never authorized it to use its TENICA trademark. It submits that the Respondent has no relevant trademark rights of its own and that, while there was a Republic of Korea trademark for TENICA that was registered in 2001 and expired in 2011, there is no evidence that the Respondent had any connection with that trademark. The Complainant submits that the Respondent obtained no rights or legitimate interests by virtue only of its purchase of the disputed domain name. It states that the Respondent is using the disputed domain name only for the purposes of generating pay-per-click revenue and for offering the disputed domain name for sale, neither of which give rise to rights or legitimate interests. The Complainant also denies that the Respondent is making any legitimate noncommercial or fair use of the disputed domain name. The Complainant submits that the disputed domain name was registered and is being used in bad faith. In particular, the Complainant contends that the Respondent is intentionally attempting to attract Internet users to its website for commercial gain by creating a likelihood of confusion with the Complainant’s trademark as to the source, sponsorship, affiliation or endorsement of goods or services found on that website. The Complainant relies in particular on the link on the Respondent’s website to “Tunica Jobs”. The Complainant asserts that “Tunica is the autocorrect spelling for TENICA in Microsoft Word and other word-editing platforms and popular website-building applications” and that the Respondent has set up its pay-per-click links to mislead customers by aligning itself with the Complainant, whose primary services relate to jobs. The Complainant states that the Respondent removed the link to “Tunica Jobs” after the present Complaint was filed, which demonstrates that the Respondent was aware that the link infringed the Complainant’s trademark. The Complainant submits that while the Spanish company, Tenica Tenda Informatica, may at one time have legitimately used the disputed domain name, the Respondent has not, and would easily have discovered the Complainant’s prior use of the TENICA trademark had it carried out a simple check prior to acquiring the disputed domain name. The Complainant exhibits correspondence from October 2018 in which the Respondent states “We registered seven years ago before you applied for trademark,” which it says is untrue. The Complainant also states that the Respondent sent it a link to the expired Republic of Korea trademark, thereby falsely implying that it had some connection with that mark. 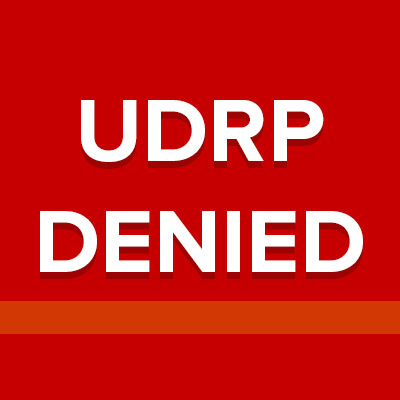 The Complainant provides evidence that it approached the Respondent in October 2018 offering to purchase the disputed domain name, but the Respondent replied in aggressive terms referring immediately to lawyers and proceedings under the UDRP and accusing the Complainant of “domain hijacking”. The Complainant submits that this, and the other actions of the Respondent referred to above, all reinforce the impression of a bad faith registration. The Respondent denies that it acquired the disputed domain name in the knowledge of the Complainant or its trademark or that it has sought to take any unfair advantage of the Complainant’s trademark rights. Specifically, the Respondent contends that it purchased the disputed domain name in September 2013 as part of a NameJet.com auction (although it does not provide any documentary evidence in this regard). The Respondent states that the disputed domain name was available for purchase as its previous owner for 11 years had allowed it to lapse and its registration had therefore been cancelled. The Respondent states that it acquired the disputed domain name because it is a short or descriptive English word domain having “inherent value as a designator.” In particular, it submits that “Tenica” is either a first or last personal name in which no party could claim exclusive rights. The Respondent includes a link to a search at “www.ancestry.com” which includes many thousands of results: although the Panel notes that an “exact” search against the name “Tenica” produces approximately 440 results. The Respondent states that it has registered hundreds of generic, dictionary and common names, including surnames, as domain names and cites 20 representative examples including <slavis.com>, <lermer.com>, <mirale.com> and others. It further states that it hosts underdeveloped domain names with domain name parking services and that it is accepted practice industry-wide to derive revenue from advertising links generated by these services. The Respondent denies that it has displayed any links relating to the Complainant or its business and states that many of its links on the website in question are descriptive terms in the Swedish language (while the Respondent refers to links including “makasse” and “handla” it does not provide translations). The Respondent states that “Tunica” is a town in Mississippi, United States, and is also a first or last name in Sweden. It refers to other uses of the name “Tunica” on social media. The Respondent does not contest the Complainant’s submission that the disputed domain name is identical or confusingly similar to a trademark or service mark in which it has rights. The Respondent submits that it does have rights or legitimate interests in respect of the disputed domain name. It repeats that the disputed domain name was registered because of its value as a dictionary or descriptive word and not because of any connection with the Complainant’s trademark. In these circumstances, the Respondent contends that rights or legitimate interests will arise where a respondent registered and is using a domain name to describe its product or business or to profit from a generic value of the word without intending to take advantage of a complainant’s rights in that word. It submits that it has in this case used the disputed domain name to display advertising links in the Swedish language relating to services and this demonstrates a bona fide use of the disputed domain name. The Respondent denies having registered or used the disputed domain name in bad faith. The Respondent contends that the Complainant has provided no evidence that the Respondent registered the disputed domain name with the Complainant’s trademark in mind, and that the Complainant could provide no such evidence because none exists. The Respondent repeats that it registered the disputed domain name as it viewed it as an inherently valuable first or last name and that it has used the disputed domain name in good faith for the purpose of links in the Swedish language. The Respondent submits that the Complainant knew or ought to have known that there was no basis for the present Complaint and that the Complainant has brought the Complaint in bad faith as a “Plan B” when it was unable to purchase the disputed domain name from the Respondent. The Respondent requests a finding of “reverse domain name hijacking” accordingly. The Complainant has established that it is the owner of a United States trademark for a combined design and stylized word mark TENICA. The Panel finds that the word TENICA is the predominant element of that trademark and is identical to the disputed domain name, save for the generic Top-Level Domain (“gTLD”) “.com” which is typically to be disregarded for the purpose of comparison. The Panel therefore finds that the disputed domain name is identical or confusingly similar to a trademark or service mark in which the Complainant has rights. In the view of the Panel, the Complainant’s submissions referred to above give rise to a prima facie case for the Respondent to answer that it has no rights or legitimate interests in respect of the disputed domain name. The Respondent has addressed the Respondent’s case by submitting that the name “Tenica” is a common first or last personal name and that it has legitimately used the disputed domain name for the purpose of advertising links related to that name. As discussed in section 2.9 of the WIPO Overview 3.0, the use of a domain name to host a page comprising pay-per-click links may be permissible, and therefore consistent with a respondent’s rights or legitimate interests, where the domain name consists of “an actual dictionary word or phrase” and is used to host pay-per-click links genuinely related to the dictionary meaning of that word or phrase and not to trade off the complainant’s trademark. In this case, the Respondent claims that the disputed domain name represents a first or last personal name, as opposed to “an actual dictionary word or phrase”. It provides some evidence in support of this contention by reference to its search at “www.ancestry.com”, although the Panel does not necessarily agree that these results suggest the name is “common”. Furthermore, the Panel is not of the view that the Respondent has displayed links that are “genuinely related” to the name “Tenica” as a personal name, its contention that the links describe services in the Swedish language being tenuous at best. The Panel also notes that, while the Respondent’s website purported to offer the disputed domain name for sale, and while legitimate trading in domain names can in some circumstances give rise to rights or legitimate interests, the Complainant’s approach to the Respondent seeking to negotiate a purchase of the disputed domain name was aggressively rebuffed by the Respondent. While the Panel tends to the view that the Respondent has failed to establish rights or legitimate interests in respect of the disputed domain name, it is also of the view that it is unnecessary definitively to determine this element in view of its finding on the element of bad faith below. In order to succeed in its case, the Complainant must meet the conjunctive requirements of establishing, on the balance of probabilities, that the Respondent both registered and has used the disputed domain name in bad faith. In order to meet the first of these requirements, the Complainant must show that the Respondent was aware of its trademark at the time it acquired the disputed domain name and acquired it in order to take unfair advantage of, or “target” the goodwill attaching to that trademark. While a complainant is often unable to prove what was in the mind of the respondent at the time of registration, it must at least satisfy a panel that, in all the circumstances of the case, the respondent is more likely than not to have registered the relevant domain name with the complainant’s trademark in mind. The Panel finds that the Complainant has failed in this case to meet the burden of showing that the Respondent was more likely than not to have acquired (i.e. registered) the disputed domain name for the purpose of targeting the Complainant’s trademark. First, the Panel does not find this to be a case where the disputed domain name comprises a “coined” term which can only have referred to the Complainant’s trademark. The Respondent has established that the name “Tenica” is used as both a first and last personal name and it is also clear that the name has, historically, been used by at least two other parties in commerce: the owner of the Republic of Korea trademark TENICA between 2001 and 2011 and the Spanish company, Tenica Tenda Informatica, between 2008 and 2013, the latter having been a previous owner of the disputed domain name until its registration lapsed. Furthermore, the Complainant has failed to provide any evidence of the reputation of its trademark TENICA at the time the disputed domain name was acquired in 2013 that would enable the Panel to infer that the Respondent is likely to have been aware of that trademark. The Complainant states that it registered a number of domain names including the term “tenica” in 2009 but exhibits no evidence of its use of those names. It asserts that it has had an online presence since 2010, but again provides no evidence to illustrate this presence and no particulars of such matters as its geographical reach (other than the bare assertion that it has employees in multiple continents), sales revenue or promotional spending as of the date of registration of the disputed domain name. It is not enough for the Complainant to assert that the Respondent could have discovered its presence by conducting simple enquiries and, in particular, the Panel finds no basis upon which to impart “constructive notice” of the Complainant’s trademark to the Respondent. In the circumstances, while it is impossible for the Panel definitively to discern what was in the Respondent’s mind at the time of registration, the Panel finds that the Complainant has failed to meet the burden of showing that, on the balance of probabilities, the disputed domain name was registered by the Respondent with the Complainant’s trademark in mind. As to the Complainant’s remaining contentions, while the Panel finds that the Respondent’s responses to the Complainant’s communications could have been couched in more accommodating language, these matters are insufficient in the view of the Panel to establish bad faith on the part of the Respondent for the purposes of the Policy. The Panel finds accordingly that the Complainant has failed to establish that the disputed domain name has been registered as is being used in bad faith. The Complaint must therefore fail. In the view of the Panel, the Complainant ought to have appreciated the weakness of its case so far as the element of bad faith was concerned, and for that reason was at risk of a finding of “reverse domain name hijacking”. However, the Panel considers the Complainant’s case to have been reasonable on the other two elements required by paragraph 4(a) of the Policy and, in particular, that the evidence shows that the Respondent may have overstated its case with regard to rights or legitimate interests. Noting also the Panel’s observations on the Respondent’s responses to the Complainant’s correspondence, the Panel declines to find that the Complaint was brought in bad faith. The Respondent’s request for a finding of “reverse domain name hijacking” is therefore denied.